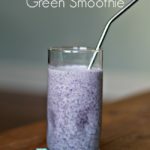 Green smoothies are wonderful… and the only way I can get my hubby to eat kale. 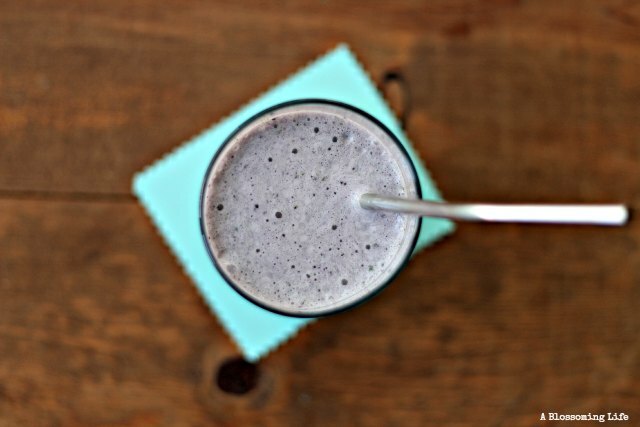 This smoothie is the perfect snack or after dinner dessert that you won’t feel guilty about! 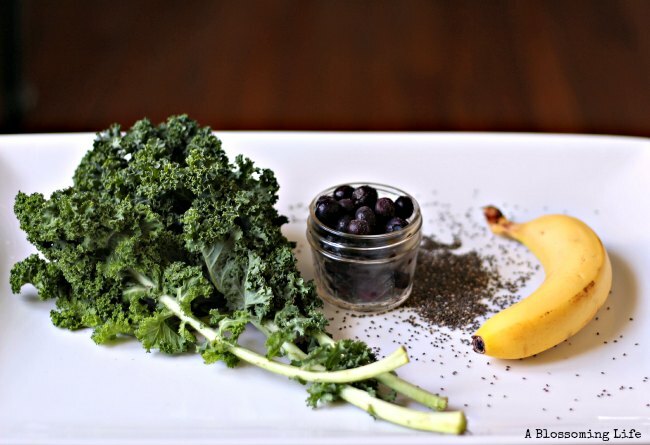 No added sugar and it is packed with healthy ingredients like chia seeds, bananas, blueberries, and kale! 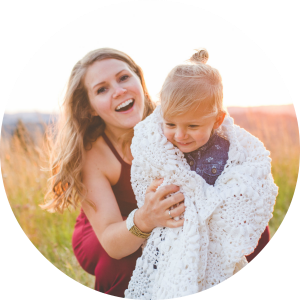 The best part is your kids (or husband) will have no idea they are eating kale! Kale: is the super vegetable! It is high in vitamins (A, C & K), minerals (especially calcium), and fiber. It is also high in antioxidants: carotenoids and flavonoids (help prevent cancer), and lutein and zeaxanthin (help promote eye health). Kale has also been shown to reduce cholesterol and prevent heart disease! Blueberries: Packed with vitamin C and antioxidants to help prevent cancer! They have also been shown to help improve memory and revive your skin! Bananas: Packed with vitamins (B6), minerals (especially potassium), fiber, and are a great natural sweetener. People that have a diet high in potassium rich foods have been shown to reduce risk of stroke and helped lower blood pressure! Delicious, sweet, and healthy. 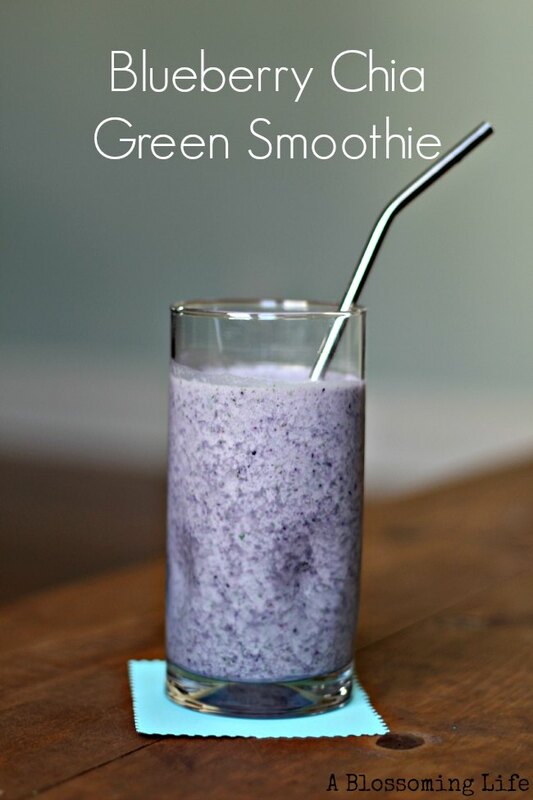 This smoothie it the perfect snack for kids! They won't even know they are eating something green. Put ingredients into a blender and blend well. If you want a thicker or a more icee smoothie, add a few ice cubes to the mix and blend. Enjoy your super healthy snack! I made this yesterday, but used strawberries since I was out of blueberries. It was delicious (albeit beige in color since the strawberries couldn’t overcome the green kale). My kids love smoothies, so I’m glad I can sneak in things like spinach and kale! Are the chia seeds raw or soaked. Raw. Just toss them in before you blend!